Americans aren’t big on compromise. If we find ourselves at a fork in the road, with one choice only made at the exclusion of another, our instinct is to turn said fork into a spoon so we can scoop up both options. How else do you explain the longstanding boom of the pickup truck market? Pickups are the most popular American vehicle and, you could argue, the best: expensively developed, overbuilt and packed with standard features. The new crop of RAM Trucks is a great example, ranging from well equipped 9-5 duty rigs to luxurious haulers with premium cabins that put certain luxury car companies to shame. 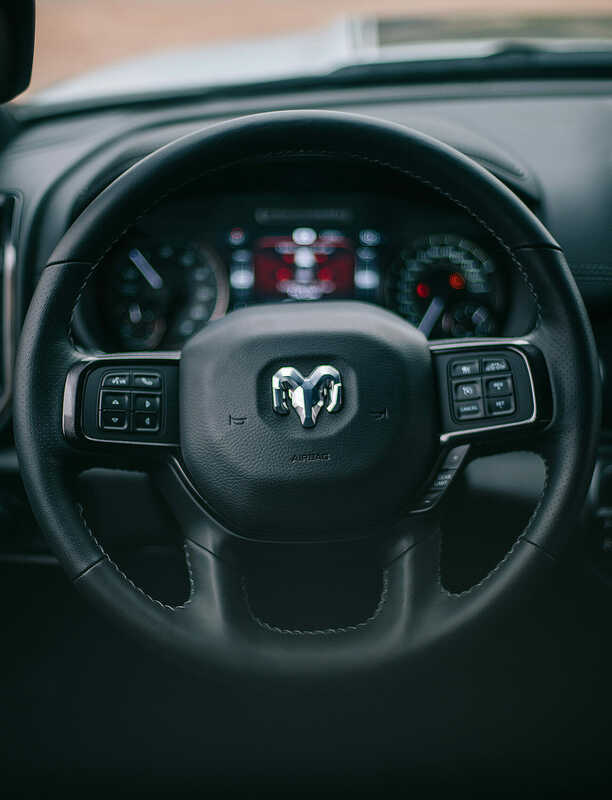 And of the entire Ram truck lineup, the 2019 Power Wagon is the most compromise-averse, a highly capable three-quarter ton off-roader that offers a 17 speaker Harmon-Kardon audio system, blind-spot monitoring, adaptive cruise control and automatic emergency braking. This isn’t just having your cake and eating it, too; it’s having your cake, eating it, then crawling over inhospitable, hardscrabble desert in comfort and luxury to go steal everybody else’s cake. 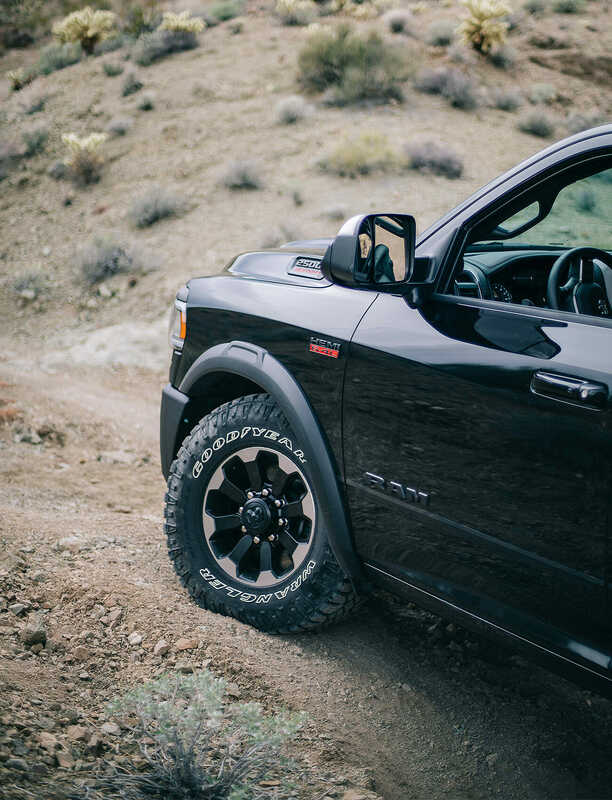 The Good: This truck has incredible off-road capability, especially for a ¾ ton pickup. It’s also the only vehicle in America to come with a winch from the factory, and thanks to a synthetic cable (instead of steel) that winch is lighter for 2019 but still rated to 12,000 pounds. 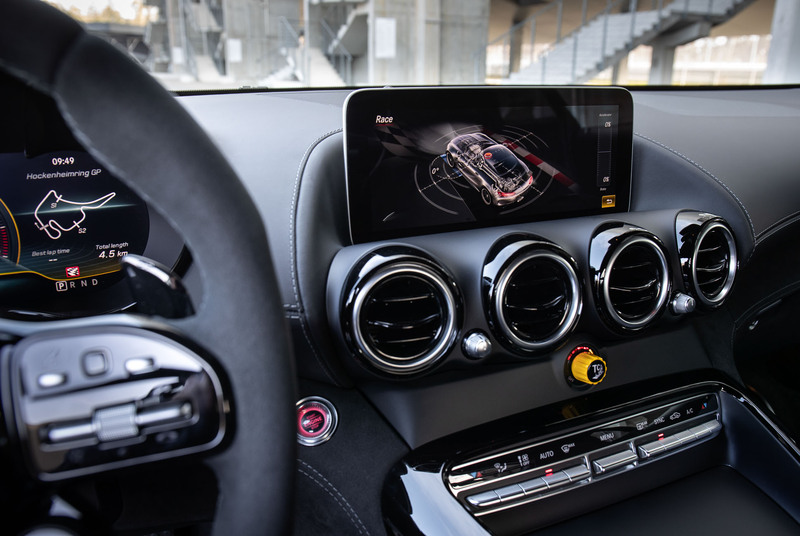 The available 360-degree surround view camera will no doubt be clutch in tricky off-road situations. The new 8-speed transmission a huge improvement over the old 6-speed. Who It’s For: The truck guy who wants to be able to tow and haul as well as climb and crawl. 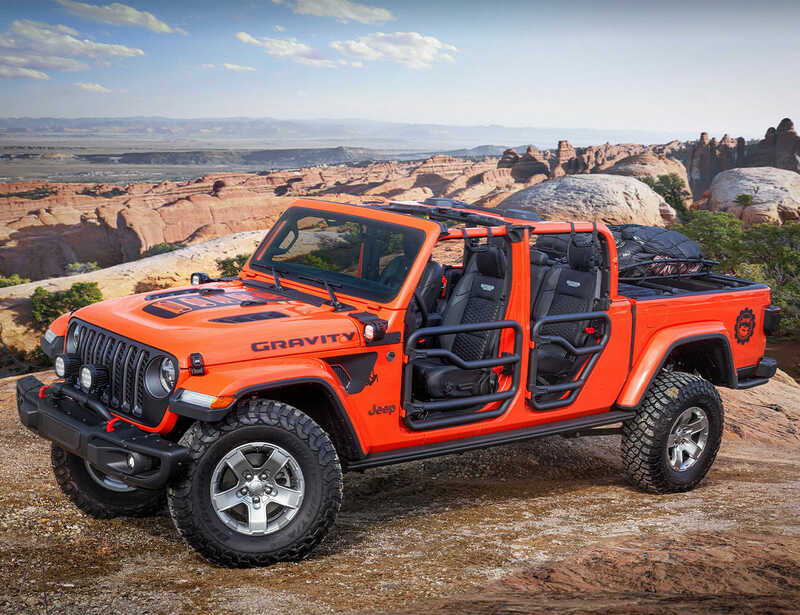 A spacious crew cab is the only option, meaning there’s plenty of room for friends and family to enjoy the ride; people who look at a Jeep Rubicon Unlimited and think “not enough room for people or stuff” might land in a Power Wagon, given its combination of size and legit off-road capability. Watch Out For: This is a three-quarter ton pickup, so obviously it’s big. Visibility over the hood and to the sides is good on the pavement, but off-road you’ve really got to use your mirrors when maneuvering, or the camera system if so equipped. The truck has lost some weight over the previous generation, which is impressive, but it still runs on a 6.4L Hemi and drinks fuel accordingly. The dash-mounted rotary gear selector takes some getting used to vs the old column mounted lever. Alternatives: There isn’t no alternative: the Power Wagon is the only three-quarter-ton off-road specialist. Drop down to a half-ton and you have the Ford Raptor, the Chevy Silverado Trail Boss and the Power Wagon’s kid brother, the RAM Rebel. In some ways, given the Power Wagon’s very special set of (off-road) skills, a Wrangler Rubicon Unlimited or the forthcoming Gladiator Rubicon seems a better comparison. Review: My first taste of the 2019 Power Wagon came deep in the Nevada desert, so close to the Arizona border that my phone kept switching between time zones. 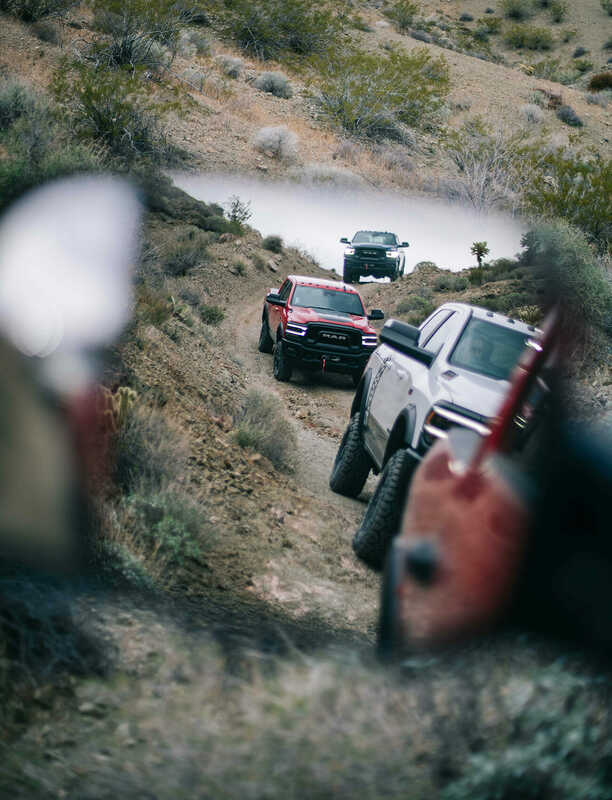 Out here, going from a trespasser to a target can happen quickly, so it was good the Ram folks had secured permission for the local trails to demonstrate the redesigned Power Wagon’s off-road capabilities. Going into the experience I assumed the truck, while looking properly badass, was simply too big to be enjoyed anywhere but a wide-open space, like a mud pit, and certainly couldn’t be the extra-capable trail machine as advertised. And though I was right about the size — the three-quarter ton Power Wagon had a crew cab and a 6-foot-four-inch bed — my concerns about its capabilities were proved unfounded within minutes. Good visibility, great mirrors, and a surprisingly generous turning radius (even with the front and rear differentials locked) made maneuvering the Power Wagon up a steep, boulder-strewn hill a cinch. I didn’t even have to unlock the front sway bar for the first ascent, but I would soon find myself in a spot where doing so was mandatory. The ability to simply push a button and gain serious articulation capability will never cease to blow my mind. It’s expected in a Land Rover or Wrangler Rubicon, but having that feature in a full-size pickup was a welcome surprise. Another welcome surprise: discovering you can still cheat your way into a cheaper Power Wagon by adding the Power Wagon “package” to the entry-level “Tradesman” RAM 2500. As was the case with the previous generation truck, you can start with a Crew Cab 4×4 2500 Tradesman for $39,850, then tick the Power Wagon option box for $7,995. This can get you into a Power Wagon for under $50,000, and leaves room to add a few choice options before hitting the $52,900 base price of the off-the-shelf Power Wagon. Personally, I’m a big fan of building one out based on the humble Tradesman trim level, since certain details on the factory Power Wagon — grille, giant RAM letters on the tailgate, and graphics on the side of the truck bed — aren’t to my taste. Sure, these things can be removed from the truck with little effort, but the Tradesman Power Wagon’s under-the-radar look has a cool “sleeper” factor all its own. Had I been rolling around Wyoming and Utah in an ostentatious truck heavy on the graphics, I imagine I would have missed out on the nods, waves and questions at the gas pump. Having eaten up major miles in the Tradesman Power Wagon, I can say that while a 12-inch screen, heated and cooled seats and adaptive cruise control are nice to have, the basic 4-inch unit with Bluetooth, cloth bench seats (with fold up console!) and regular cruise control gets the job done just fine. Road-tripping in the truck was a nice reminder that, while we may hate making compromises, once in a while it’s good to take stock of what you really need to get the job done. Then, just go with what works rather than trying to have it all. Verdict: Whether you opt for the well equipped Power Wagon from the factory or start with a 2500 Tradesman then add the Power Wagon package and options a la carte from there, you’re getting a lot of truck for your money. There simply isn’t another three-quarter ton pickup that can do all the things the Power Wagon does so well. For once, it seems, a company has made sure their lofty advertising quotes are backed up across the board. 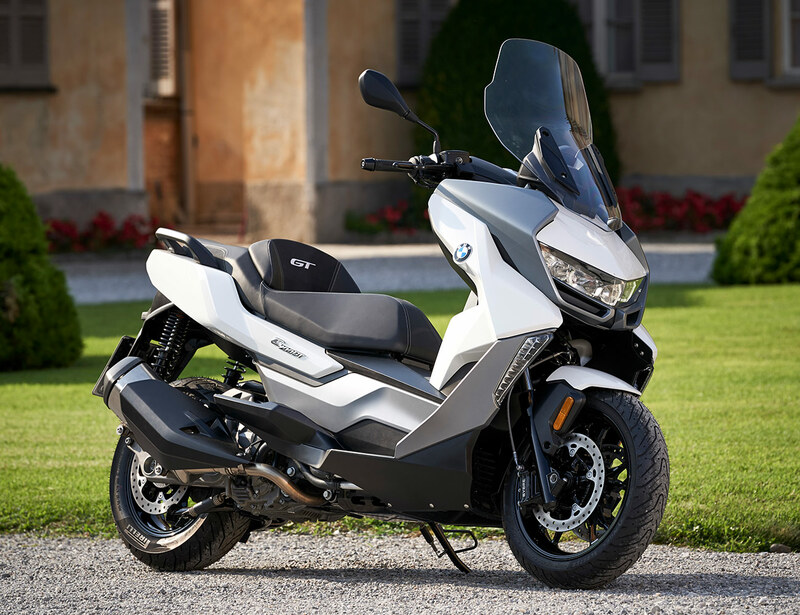 This is certainly not a truck for everyone, especially those living in dense urban areas just looking for a capable weekend off-roader. But for those with the lifestyle to dig what this truck does, they’ll be glad they can round up four or five friends, tow a large boat to a lake and then charge to the top of the nearest mountain, just for the hell of it.